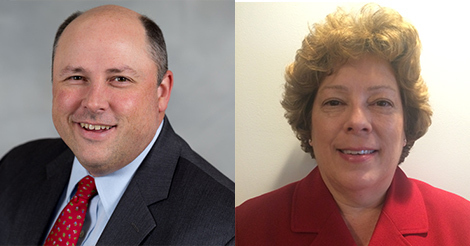 DOWNERS GROVE, Illinois—The DuPage Foundation is pleased to announce the addition of Roger P. McDougal and Megan M. Shebik to its Board of Trustees. McDougal and Shebik were recently elected to the Board and will officially begin their tenure at the Foundation’s next Board Meeting on March 16, 2017. McDougal has spent the past 14 years in commercial banking, corporate banking and wealth management at Northern Trust. He currently serves clients in the wealth management area as a senior vice president and managing director. In this role, he leads an experienced advisory team that assists with the investment, fiduciary, planning and banking needs of prosperous families and individuals. His team strives to help clients successfully build, preserve and transfer their wealth. In addition to his service on the Foundation’s Board of Trustees, McDougal is vice chair of the board of directors for Easter Seals DuPage & Fox Valley. McDougal earned his bachelor’s degree from the University of Iowa’s Henry B. Tippie College of Business and his MBA in finance from DePaul University’s Charles H. Kellstadt Graduate School of Business. He and his wife, Lisa, live in Glen Ellyn with their two children. Shebik is a seasoned community leader and volunteer who has been involved with the Foundation for more than 20 years. Since 2015, she has served on the Foundation’s Grant Committee. Shebik and her husband, Steve, have two donor-advised funds with the Foundation: the Shebik Family Fund for Basic Human Needs and the History DuPage Fund. The funds were established with the Foundation in 1996 and 2012, respectively, and the impact of their grants demonstrates the passion that the Shebik family has for issues and organizations in DuPage County. Shebik earned her Bachelor of Science degree in economics from the University of Illinois at Urbana-Champaign. She holds professional designations of chartered property casualty underwriter (CPCU®) and certified professional insurance woman (CPIW). She was previously employed with Kemper Insurance Company where she was a commercial lines property underwriter and supervisor. Shebik feels strongly about giving back to the community. In addition to her service at the Foundation, she has volunteered for and held many leadership positions at several DuPage County organizations over the years. While raising her three children in Wheaton, she has worked with the Girl Scouts of DuPage County Council, Boy Scouts of America Three Fires Council, the Wheaton Junior Woman’s Club and the Wheaton Warrenville South High School Parent Association. "I am excited to be working with a group of caring people who do so much to help others in so many ways,” Shebik said. 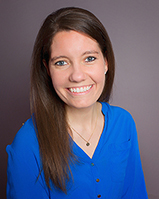 “Through my experience with the DuPage Foundation, my understanding of what philanthropy means has grown. I look forward to learning more ways we can make a difference."